It seems I have a guy for everything. I have my plumber, I call Tommy when I need a mechanic, I even have my tree guy. It’s easy to call your guy when there’s money in the bank, but when funds are low, I pull out my Hayne’s manual to repair my own car, and this is why I didn’t call my tree guy. I’m broke. 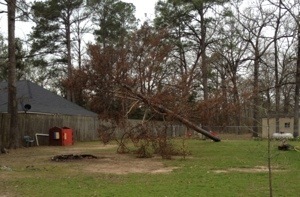 I had no idea I had a dead pine tree in my front yard. Seriously, who looks up if the stars aren’t out? I don’t. It was impressive watching this drop. Last summer, my neighbor told me I had a dead pine tree in my backyard. I had no idea. I can’t see if the trees are dead when I’m trying to see the stars through this massive leaf cover. 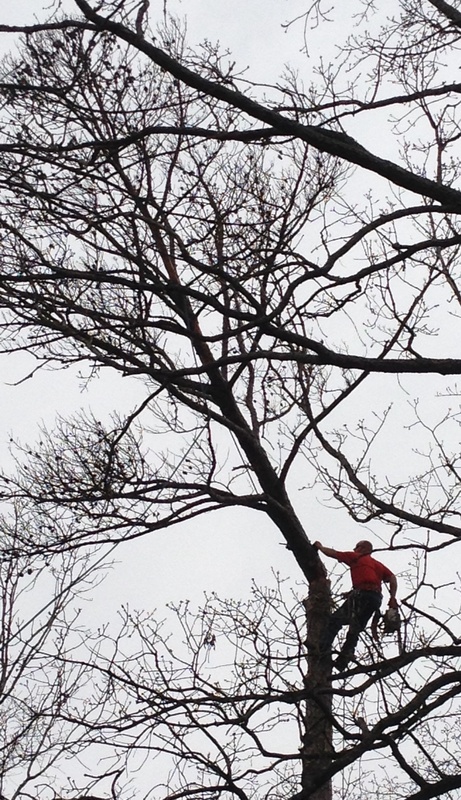 As soon as the neighbor pointed out my dead tree, I called my guy. I could only understand every fourth word he uttered because he is from the South. I have always had trouble understanding Southerners. I was born in Minnesota. My dad talks like a Yankee. I forgot to mention that I was raised in the South. As a matter of fact, I’ve spent 33 of my 38 years living in the South. I still have trouble understanding this language. It is much like trying to understand that British nanny on tv. They don’t speak English down here. They speak Southern. So after determining that he wanted to cut some trees down and he wasn’t a Jehovah’s Witness trying to sell me a set of encyclopedias, we agreed on a price and he came today. It went smoothly today, so I decided to share this triumph on Facebook. Just like I share every meal I eat, the latest news on back boils, and everything else my friends don’t want to hear. My guy, remember my tree guy? He read it and admonished me for hiring someone who isn’t insured. I really felt bad that I took my business to Mr. Shadetree tree guy, but I’m on beans and rice for the rest of the month. I figured I couldn’t afford my guy at this time. He is right. My guy is just looking out for my best interests even when I tried out the new guy. From now on, I’ll be sure to use my guy. If you live in the Shreveport-Bossier area, maybe you could make him your guy.